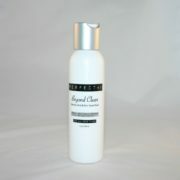 Beyond Clean Cleanser is a new formulation is perfect for all skin types – from mature normal to dry and especially good for those with oily or blemish-prone skin. This paraben-free skin care wash offers vital age-defying properties such as sea kelp for skin, anti-inflammatory zinc, and the skin exfoliating blemish buster, salicylic acid. It cleanses and helps decrease redness without drying the skin. An effective toner helps balance the pH of all skin types which is why it is an integral part of every skin care regimen. You will fall in love with the new premium grade Soothing Toner because it is rich in age-defying antioxidants, such as oil-free sea kelp for skin, powerful astaxanthin (500 times stronger than Vitamin E), and firming hydrolyzed collagen. It also has moisturizing hyaluronic acid to prevent dryness and skin dehydration, and calm oily, blemish-prone skin, and inflammation associated with rosacea. Our Soothing Toner can also help refine pores. Our promise – No competing product can do more than Ultimate Age-Proofing Complex with EGF — and almost all will do less. If you are one of the millions of women over 40 years old, you are going to love Ultimate Age-Proofing Complex (UAPC). This peptide skin cream is also a powerful EGF cream, which offers the maximum, effective amount of epidermal growth factors, revolutionary peptides, and antioxidants. Are you challenged with accelerated skin sagging, loss of volume in the face, deeper wrinkles, dryness, and the loss of elasticity caused by aging, sun damage, hormonal changes and/or menopause? Have you noticed your jowls, jawline, and neck skin sagging? No one can beat the efficacy of our world-class epidermal growth factor cream, made with the maximum effective concentration of EGF along with premium grade peptides. This skin cream also includes revolutionary antioxidants such as Astaxanthin, pomegranate seed oil, alpha lipoic acid, beta-carotene, lutein and much more for outstanding age-defying efficacy. Apply it daily after cleansing and toning the skin. 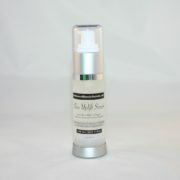 Everyone is raving about our fantastic Skin Uplift Serum. This superior face and neck skin-firming and lifting peptide skin serum is made with the highest concentrations of active ingredients. This includes sea kelp bioferment (a potent, non-oily age-defying antioxidant), and premium grade skin-firming antioxidant DMAE. Additionally, it also contains two powerful peptides: Acetyl hexapeptide-8 (aka Argireline) and Palmitoyl Pentapeptide-3 (our version of Matrixyl), which promote both the production of collagen over 350% and hyaluronic acid over 250%. 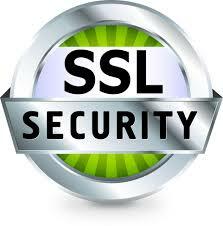 It is used to brighten the complex and reduce the look of fine lines and wrinkles. 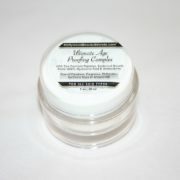 It also contains hydrating hyaluronic acid and skin-firming collagen. For a more lifting firm complexion on both face and neck, apply Skin Uplift Serum at night. TIP: Some of our customers aged 50+ tell me they apply Skin Uplift Serum under Ultimate Age-Proofing Complex in the morning for even more effective skin firming results. 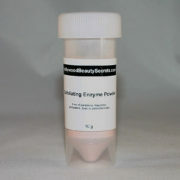 If you want premium paraben-free skin care, our Exfoliating Enzyme Powder is an enzymatic powder that is stronger than most other exfoliation products on the market. It acts as both an exfoliator and peel, so you need only use it once a week. The powerful skin smoothing properties of this exfoliating peel include bromelain enzymes (proteases) derived from pineapple, bamboo crystals composed of silica powder, and white willow bark, which is similar to salicylic acid but is less irritating. The powder also has kiwi extract, which is rich in enzymes, and antioxidants such as beta-carotene, lutein, and zeaxanthin. Our Exfoliating Enzyme Powder efficiently leaves the skin feeling smoother, softer and brighter and provides skin-nourishing properties with just one weekly application.